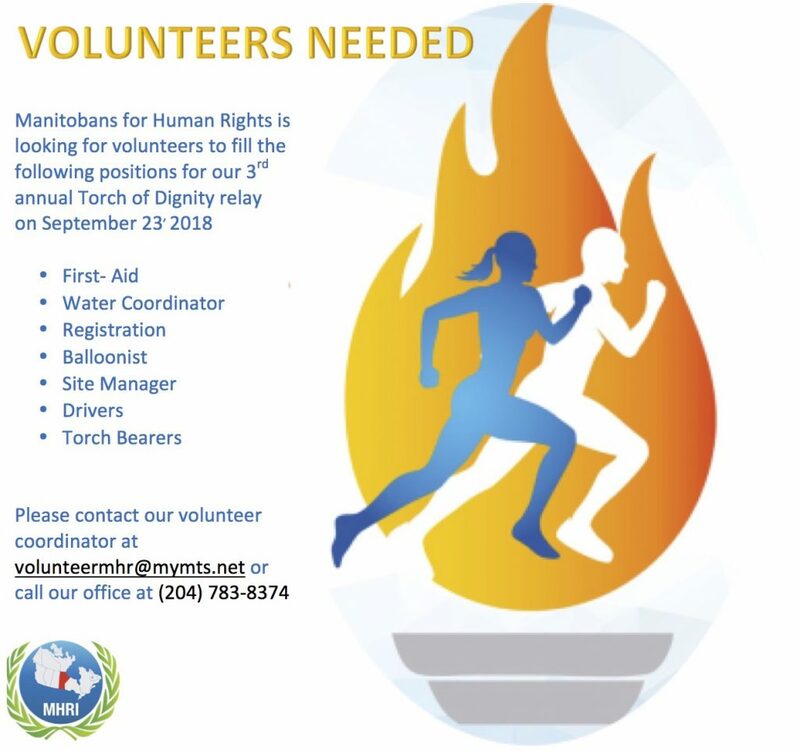 Manitobans for Human Rights Torch of Dignity committee is looking to fill volunteer positions for our 3rd annual relay on September 23rd, 2018. We are looking for drivers, torch bearers, site managers, balloonists, registration, water coordinators and first-aid. Please fill out our Torch of Dignity Registration Form in the ‘Volunteer Contact Information’ section or contact our volunteer coordinator via email at volunteermhr@mymts.net or call our office (204) 783-8374 if you have any questions or concerns. The final volunteer meeting will be held Wednesday, September 19th at 4:30 p.m. at our office 301-960 Portage Avenue. Please RSVP with our volunteer coordinator if you are interested in coming.